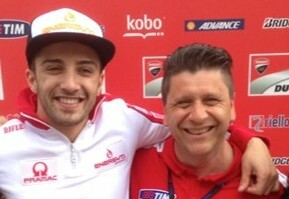 Last year Andrea’s main goal was to get his hands on an official Ducati Bike. The focus was on being faster, more focused and more performing during races. When Ducati and Phillip Morris decided to give Andrea this chance we knew we had achieved our goal. What we did not know was that in the deal Ducati provided such a performing machine which would allow Andrea to get his first pole of his career at Mugello and a great Podium with a P2 between the two Yamaha. And this exciting championship is still going to show more surprises I believe.